Rather than jumping head first into the funeral pyres of processed food like I tend to do, Hamburger Calculus uses a more, er, calculated approach. 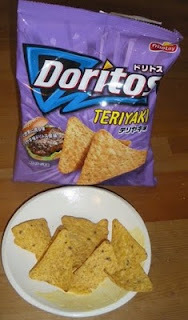 Integrate yourselves into their blog this week as they drop some science on Japanese snack foods and where to get them (I stole the photo above from this post). Buen provecho. Awesome blog dude! I spent way too much reading reading through your back posts! Funny stuff... keep it up! Why Did I Drink This?